Another rare grey wolf was shot by a hunter. He thought it was a coyote, and shot before he noticed she had a radio collar (Link to article). 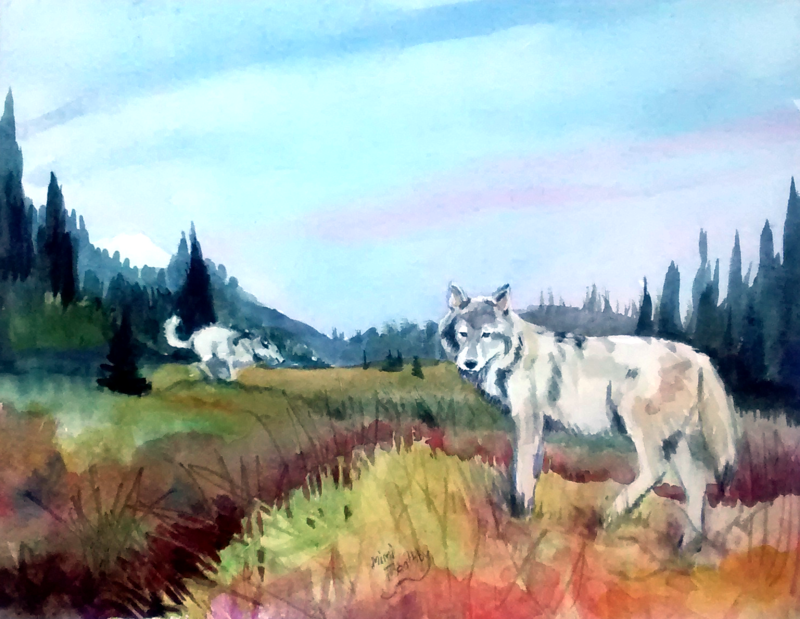 Wolves are so very important for our ecosystem, and for that matter, so are coyotes. Bounties on predators might have been important during the days of Little House on the Prairie, but no more. These creatures are necessary to keep life in balance on the planet. They are beautiful children of God, and they have much to teach us. Who speaks for wolf? I guess I do. As I mourn the loss of yet another wolf, another cougar, or bear, I shudder to think of a world where all our large wild animals are in zoos and that’s where we are heading. As the wicked witch of the west said, “what a world, what a world!” – I hope I am never a part of it.